Kotug Smit Towage has taken the new ATD Tug 2412, named Buffalo into service for its European harbour towage activities. 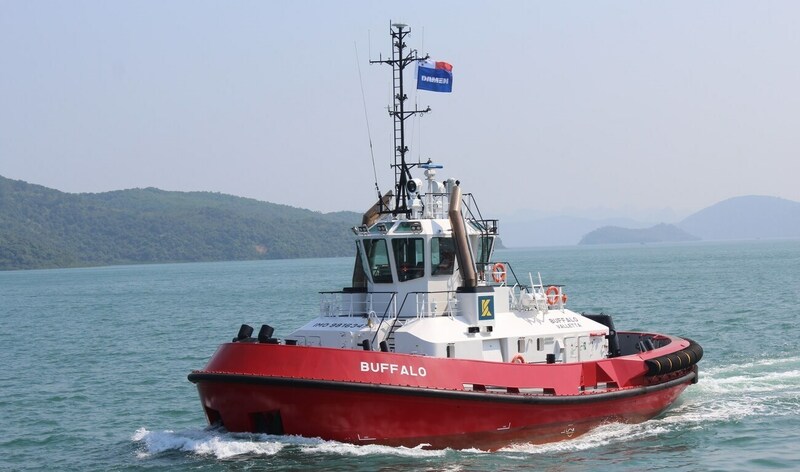 The Buffalo is the third tug built by Damen for Kotug Smit Towage. ASD 2913 tugs Rotterdam and Southampton were delivered in August 2017. Recently, the vessel operates in the Port of Southampton to assist all types of vessels.